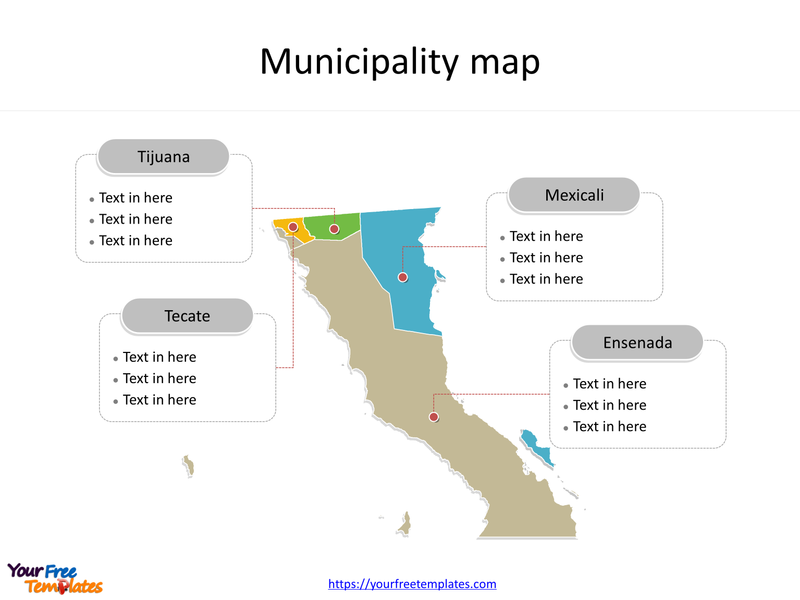 The State of Baja California map Template in PowerPoint format includes two slides. Firstly the Baja California map with outline is labeling with capital and major cities. Secondly the Baja California maps with municipalities and labeling with major ones. 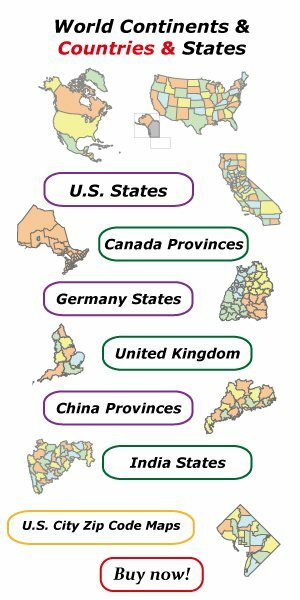 So our Baja California maps PowerPoint templates have capital and major cities on it. They are Mexicali, Tijuana and Ensenada. Finally the most populated municipalities are Tijuana, Mexicali, Ensenada, and Tecate. 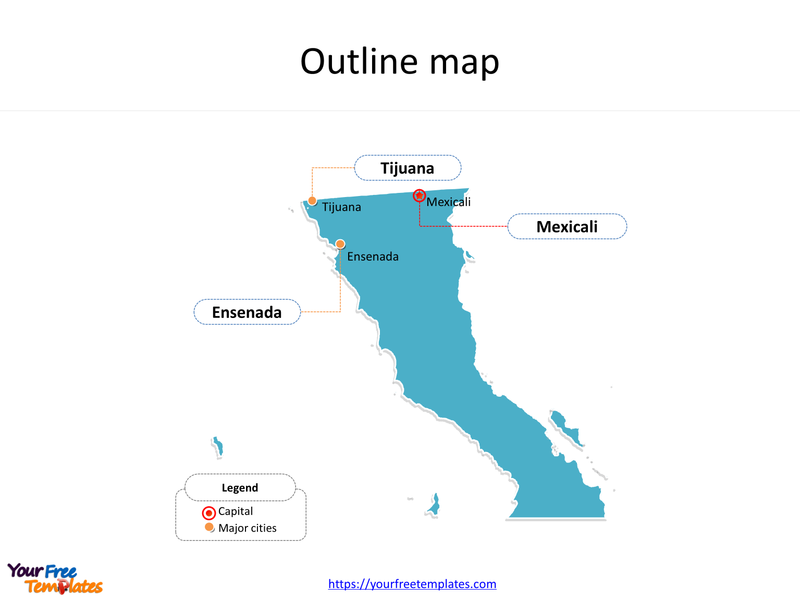 The Baja California maps PowerPoint templates include two slides. Baja California is the northernmost and westernmost of the 32 Federal Entities of Mexico that is divided into five municipalities. The mainland portion of the state is bordered on the west by the Pacific Ocean, on the east by Sonora, the U.S. state of Arizona, and the Gulf of California (also known as the “Sea of Cortez”), and on the south by Baja California Sur. Its northern limit is the U.S. state of California. Its capital and largest city is Mexicali and Tijuana respectively, other major cities including Ensenada. You can found them in our Baja California maps PowerPoint templates. The most populated counties in Baja California State are Tijuana, Mexicali, Ensenada, and Tecate. What is more, Baja California is the 13th most populous state with 3,315,766 inhabitants and the 12th largest by land area spanning 73,290.08 square kilometres. The labels and shapes are layers of different groups. The largest municipality by population in Baja California and second largest in Mexico is Tijuana with 1,641,570 residents, representing around half (49.5%) of the population of the state. Ensenada, which spans 53,199.79 km2 (20,540.55 sq mi), is the largest municipality by area in the state and in the country. At the same time you can also refer to the fully labeled State of Baja California in Wikipedia. Believe it or not, analysts from marketing research companies, consultants from professional firms think highly of our website yourfreetemplates.com. Most important of all, our maps can help to reduce their efforts and create good-looking maps.